With Tenor’s GIF Keyboard for iPhone, iPad and iMessage discover or create the right GIF or video to visually sum up exactly what you’re trying to say, directly from your keyboard. Express the emotion, inside joke, or clever response you want to share. 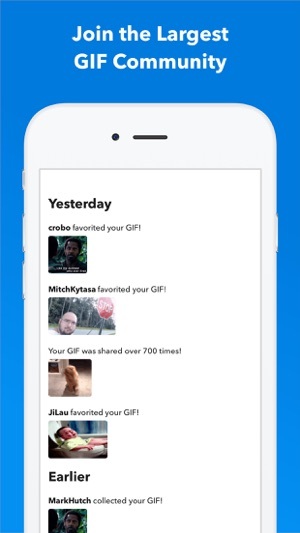 - Get the same great browse and search experience as GIF Keyboard, including access to your favorites and uploads. - Press and hold on any GIF to create a sticker that you can drag and drop onto any text, image or GIF in iMessage. 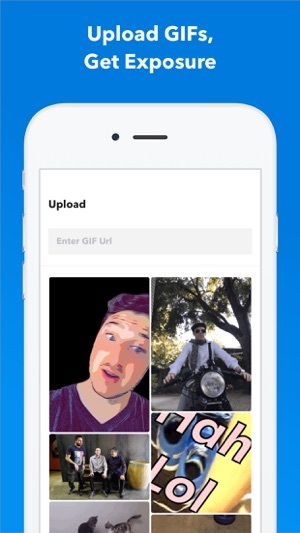 - Create your own GIFs with your front or back camera and personalize them with text, a handwritten note or drawings. Share instantly or save to a Pack. - Create packs of your favorite stickers and GIFs that you can easily share with friends and family. - Everything syncs to your Tenor GIF Keyboard so you can take your stickers and GIFs everywhere GIFs are supported. 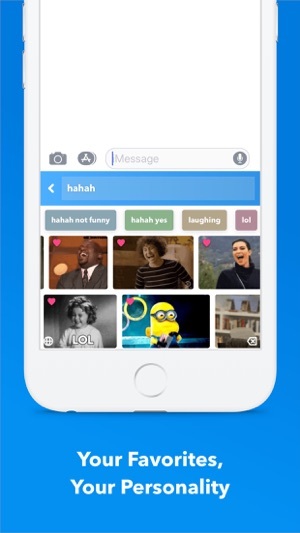 - Send the right GIF or video to express exactly what’s on your mind, directly from your keyboard! 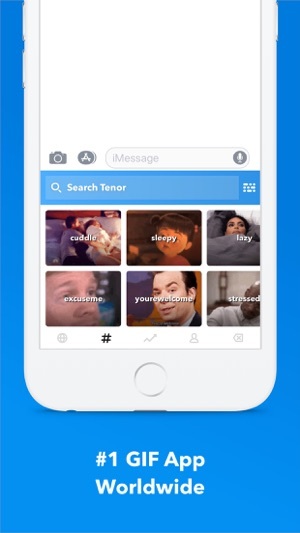 - Search Tenor’s millions of GIFs and videos to find the one that perfectly fits the moment. You can also search by emoji to see the GIFs related to that emoji..
- Need inspiration? Browse by category like reactions, trending topics, and more. - Once you find the right GIF or video, simply tap it to automatically copy it to your clipboard, tap the iMessage text box to paste it and watch as it plays inline in your conversation. - See a GIF you like while browsing on your phone? Save it directly to your GIF Keyboard from Safari with the share button and our share extension. No need to save it to your camera roll because it’s instantly available from your GIF Keyboard! 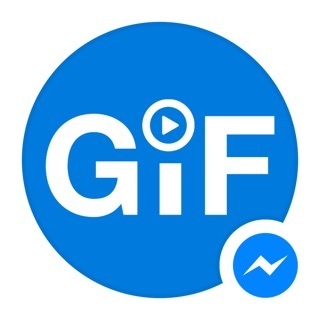 - Keep the GIFs you love handy -- double tap a GIF to favorite it and customize your GIF Keyboard. - Works with your favorite messengers and social networks including iMessage, Facebook Messenger, WhatsApp, Facebook and email. Just long-press on a GIF to pull up options to share the GIF, video, link, or save to camera roll. Tenor’s GIF Keyboard needs “full access” in your iPhone settings. This gives the GIF Keyboard full access to the internet so we’re able to give you the GIF you are searching for and ensure that our library is always updated with the latest and greatest GIFs and videos. Note: We do not log keystrokes or send them to our servers other than to search by key terms for the perfect GIF. If you have any other questions about full access please email us at privacy@tenor.co. We’ve made big improvements to our Camera Effects extension. We’re now providing more stickers than ever before — open up the camera in Messages and share stickers on your photos, videos, and in FaceTime! We’ve also fixed a few visual bugs and crashes on newer iPhones. I love GIF Keyboard. I’ve tried many similar apps but the search function on this one always seems to find what I’m looking for, even if I don’t have exactly the right words or phrases in mind. This is the most important part of a GIF app for me because I don’t want to waste time sorting through irrelevant GIFs (it’s bad enough I’m spending ANY time on this😆). My only complaint is that many GIFs don’t send through the Google Voice app, which I use frequently. This tends to happen when I try to send multiple GIFs in a row. Some send, others don’t. It says “sending” and about a minute later “Failed to send. Tap to retry.” This is a relatively small thing and it probably has more to do with Google than GIF Keyboard. That being said, I thought it was worth pointing out and maybe someday the devs will find a workaround. This is a great app that brings me lot of joy. I just love using this hilarious app! So many of the little quotes or scenes from famous movies or TV shows etc. that we want to send somebody in a quick short gif this is perfect! The one problem I have is sometimes it’s not available when I click through all of my keyboard apps. It can be very very sporadic depending on my location. *It’s also a little bit of a pain that you can’t cut and paste or highlight when you’re looking for something in the search bar etc. you have to completely backspace to the beginning if you make a mistake or want to start or change what you’re looking for. *Also wish there was a “favorites” button or way to show the most recent gifs you’ve sent. I’ve been using this for years now. It’s way better than the one that is already available for you with your iPhone. This one has a lot more “adult “ friendly GIF ‘s. Which are a lot of fun. If you are currently using the one that’s connected you should just use this one if you’re an adult. You simply DL it and in your settings in your keyboards you would add this application to your keyboard. It’s that simple to do and use. Only thing I’d FIX: You should be able to click on the icon which takes you from the imoji keyboard to the OG keyboard to the GIF this one BUT there seems to be an issue when trying to go back to Imoji. It’s all messed up and I e tried reinstalling the app. Phone off n on. Updates r new.